Our experienced attorneys at Brixius Law Firm are here to help. 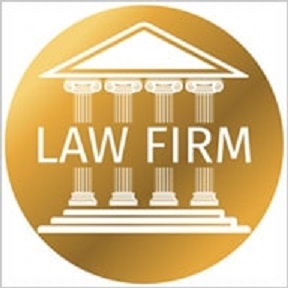 Contact us for a free case review. We will guide you through, every step of the way. This is your start to getting your life back on track. We are experienced and knowledgeable attorneys here to help you get your life back by eliminating financial stress and burdens. At Brixius Law Firm, we understand that good people get into financial difficulties for many reasons, and often through no fault of their own. Our firm has helped hundreds of people obtain a fresh start with bankruptcy. Our tightly-knit group of professionals are highly qualified and motivated to guide you through this process. Attorney Thomas Brixius will meet with you and help you discuss your options to stop creditor harassment and to put you in charge of your own life once more. At Brixius Law Firm, you will be given the personal attention that your case deserves. Let us begin by scheduling a free, no-commitment legal consultation. You will have an opportunity to discuss your financial situation with an experienced attorney, thoroughly and with time for questions and explanations. If appropriate, we can then discuss what type of bankruptcy may work for you. Thomas Brixius is a passionate believer in the benefits of consumer bankruptcy. As the founder of Brixius Law Firm, he is dedicated to helping real people and their families achieve a fresh financial start. Thomas is licensed to practice law in Washington State and the Western District of Washington and is a member of the Washington State and King County Bar Associations. Thomas is a graduate of the University of Iowa College of Law and has earned a master's degree in Russian Language and Literature from the University of Arizona.